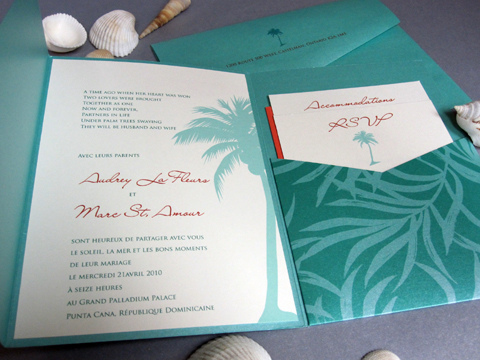 Destination wedding invitations have different rules from traditional wedding invitations. Normal invitations are sent out 4-6 weeks before the wedding and the reply by date is the date that your caterer needs to know numbers. For destination weddings it is important to send the invitations a good while in advance of your wedding as those who are planning to attend will have to arrange their work schedule and travel plans. Also your travel agent may give you specific timelines and “due dates” that your guests will need to know of well in advance. It is also very important to include extra information, including a website or contact information for your travel agent. There will be less guests for destination weddings as only those close to you will be able to attend. This does not mean you should only send invitations to those who you think can attend. You should still send invitations to all those people you would have invited if your wedding was local. This is a nice gesture, and you never know who wants to go on vacation. However make sure to let family know that there is no pressure to attend if they cannot afford to. Destination weddings can be very expensive for your guests. Not only is sending out an invitation a nice gesture, it is also a memento for those who are unable to attend the wedding. If you really want to include those who cannot make the trip, why not have a simple “celebration” when you get back. It does not have to be anything elaborate (as the part of the reason for destination weddings is simplicity) but even a backyard BBQ is a great way to celebrate. Are you going to a specific destination and you want to convey that on your invitation? 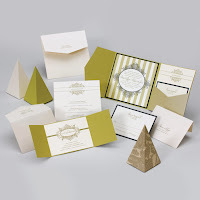 There are a variety of invitations available from different suppliers online including Paris wedding invitations, Mexico wedding invitations, etc. Who has not seen the show “Say yes to the dress” on TLC. This show is where brides visit a high end bridal studio, Kleinfields, in New York City. The brides try on dresses to find their perfect dream dress. This article was inspired by senior designer Terry, who tells clients to ‘Say yes to the Address’. Just imagine yourself at 2:00am trying to get your envelopes addressed. First you tried feeding them through the printer, the printer smudged the envelopes then jammed them and generally gave you a hard time. Then you tried labels, but you did not like how they looked on your fancy envelopes. So as a last resort you decide to handwrite the addresses, that ballpoint pen keeps dying and your hand is getting really cramped and the address is on a crazy angle, it’s been awhile since you’ve had to take notes in school. You make a few mistakes and then you are short a few envelopes. Having your envelopes addressed by your invitation designer is a good idea. 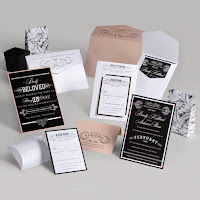 You can be assured the cost will more than cover the time, hassle and frustration it saves you, making it a no brainer, not to mention how stunning your invitations will look to your guests even before they even open the invitation. Here at Paper Studio, we match the fonts of your invitation with the outer envelope to give it a cohesive, well polished look, we even will throw in a small coordinating graphic. All brides and grooms have to do is collect all of the addresses and write them into a template that can be found on our website. No hassle, no wasted envelopes and no stress. Have you ever been to a wedding where there is a large gap in between the wedding ceremony and the reception? Have you ever been in a different place and did not know what to do with yourself? Did you spend it in the hotel room? Why not make sure your guests are entertained and enjoy the experience between your wedding ceremony and reception while you and your wedding party are getting your photos taken? I am in a wedding party this summer and my friend Sarah (the bride) asked if I could include an entertainment card in the invitation package. What a great idea I thought, she wanted to include all of the free and inexpensive tourist attractions as well as interesting things to do in the area. - The St. Lawrence Market ……and more! As invitation designers we see a lot of different colours, styles design etc. But from year to year there are always trends within the wedding world, the trends of the wedding industry often follow the trends of design in general. This year so far the biggest trend in weddings is vintage. It is a timeless and romantic theme. Brides are borrowing style elements from the years when their grandmothers and great grandmothers were married. However the brides of 2012 have a lot more options available to them with our modern design technology. 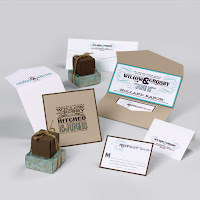 Elements that brides are using for their vintage style wedding invitations include lace, natural or “kraft” paper and cardstocks, twine instead of ribbon, fun combinations of fonts seen on old fashioned advertisements and cute vintage designs such as cameo silhouettes. Brides who like the vintage style invitations tend to pick mattes instead of shimmer papers as well as cream and off white colours instead of bright whites. Another popular theme within the vintage wedding trend is the vintage movies. This one has the old movie style poster design, with reply cards that are designed to look like “admit one” old style tickets. Many of these couples are getting married in old movie theatres or similar establishments. 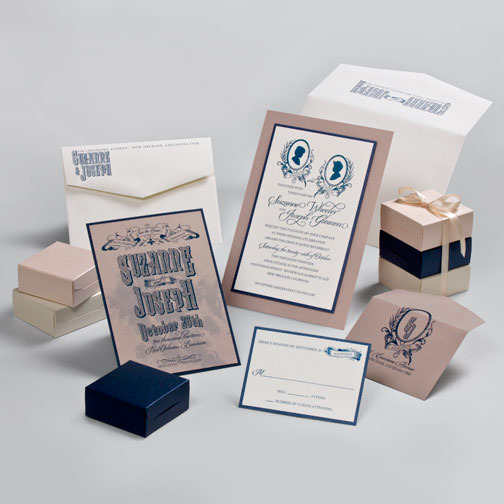 Letterpress also creates the vintage look it is very desirable among brides and is becoming more affordable. Letterpress creates a vintage look with a classy high end look. Tying in with a baroque and vintage feel, damask is still popular but not quite as popular as it once was. Nature is still a big theme, now with a vintage twist. Birch trees are a popular motif for nature themed weddings. A popular texture this year for enclosures is a woodgrain, very natural and very beautiful. There is always a trend in wedding colours as well. This year brides are choosing soft colours such as blush, dusty rose, peach and champagne. 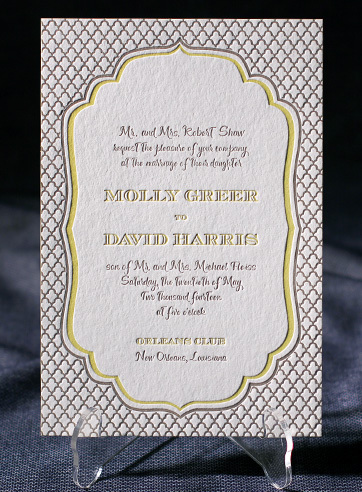 Bling is still in too, but less common on vintage style invitations. Whatever you choose for your wedding invitations, make sure it is what you want and that it reflects the style and theme of your wedding. Welcome to PaperStudio's new blog. 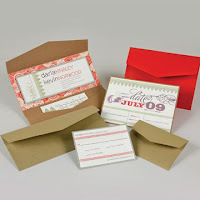 This blog is meant to help you with the process of finding and creating the perfect wedding invitations. We will include the latest trends and colours, important etiquette and helpful advice! If you're looking for wedding invitations in Ottawa, Canada, be sure to come visit our store at 1568 Carling Avenue, or check us out online at www.paperstudio.ca! Good luck!